2013 was certainly the “year of the concert” for me. I can’t think of a year, at least not since college, during which I attended more live shows. I didn’t plan it that way, it just seemed like every few weeks there was another concert I couldn’t miss. This year alone I saw Mike Doughty, Billy Joel, Wye Oak, Broken Bells, Arcade Fire, The Black Keys, Fitz & The Tantrums, Foster the People, and the “Retro Futura” tour with Midge Ure, China Crisis, Howard Jones and Thompson Twins. This week I’m seeing Jenny Lewis and Ryan Adams, then Fitz & The Tantrums again before the year closes out. Each concert was great and I’m hard pressed to pick a “best” of the year, but if I have to choose I’ll say Arcade Fire at the Forum in Los Angeles was probably the highlight. Although the Black Keys really rocked the U.S. Airways Center. But man that Broken Bells gig at the Marquee was spectacular. Well, you get the gist. Stay Gold — First Aid Kit: While I haven’t listened to it enough for it to qualify as one of my favorites of the year, I recently listened to the major label debut of this Swedish sister act and it really struck a chord. They have been called the female Fleet Foxes, and I definitely get that, but they remind me even more of Indigo Girls, whom I consider one of my favorite bands. It’s really hard to believe these young ladies are from Sweden given their sound, but music has no borders. Another favorite Swedish performer of mine is José González and you’d never guess he’s from Scandinavia either. I think maybe Johanna and Klara Söderberg moved to Sweden from Texas, either that or they are reincarnated southern girls. Regardless, they are talented alt-country/folk/rock performers and I plan to listen to Stay Gold a lot more in the coming weeks. Here they are on the YouTube if you’d like to check them out! Caustic Love — Paolo Nutini: Here’s another border bender for you. Nutini is not from Italy despite his Italian-sounding name, but rather he’s Scottish. Frankly I don’t care where he’s from as long as he continues to croon like a Memphis soul man. I’ve been a Nutini fan for a few years now and his new record is more of the same. I will say though that Caustic Love has a little more edge to it than 2009s Sunny Side up or his 2006 breakout record These Streets which features the foot-tapping pop goodness of “New Shoes.” My favorite track off Caustic Love is Let Me Down Easy, which sounds straight out of Motown. Sonic Highways — Foo Fighters: I love me some Foo Fighters when it’s time to rock out but frankly this new album is about much more than that — it’s really musical and has significantly more depth than past Foo efforts. I actually think it might be their best album ever, which is saying a lot because they’ve had a heck of a discography. Dave Grohl is so much more than just a musician, he’s a historian and a music fan as well and that appreciation for his roots shine though in this great record. Something From Nothing is a great example of that depth. Everyday Robots — Damon Albarn: When you think of the British pop wave that took the world by storm in the 1990s the two bands that always stick out are Oasis and Blur. I have to admit I was always a much bigger Gallagher brothers guy, but Blur certainly had some great tunes back in the day. But while Noel and Liam have gone their separate ways after years of fighting and produced albums that pretty much sound like Oasis, Blur front man Damon Albarn took the road less traveled and created the innovative cartoon band Gorillaz. But it wasn’t until 2014 that Albarn set out on his own and the result is the Mercury Prize nominated Everyday Robots. This album is like a beautiful rainy day that you never want to end. Take a listen to Lonely Press Play to get a taste of this delicious sound. Reminds me a bit of David Sylvian. Brill Bruisers — New Pornographers: How can you not love a Canadian super band, especially one with the brilliant Neko Case on vocals. I have no idea what a Brill Bruiser is, but I definitely like the sound of this album. Here they are playing the title track on David Letterman. Awesome. Ryan Adams — Ryan Adams: In case you haven’t figured it out yet, Ryan Adams has been making great alt-country/indie rock music for going on 15 years now and while he hasn’t had the commercial success of the unrelated Bryan Adams this just may be his year. His self-titled 2014 release was just nominated for a Grammy for best rock album and the song Gimme Something Good from said album was nominated for best rock performance. He already has the girl (he’s married to actress Mandy Moore) and maybe now he’ll have some hardware for his trophy shelf as well. Somewhere Under Wonderland — Counting Crows: Say what you want about Counting Crows, they have been pumping out great albums for twenty years and they’re one of the best live acts around as well. I count these crows among my all-time favorite bands so it should be no surprise to see their new album high on my list. If you haven’t listened to Counting Crows in a while this album may be just what you need to be reminded of how great they are. God of Ocean Tides is a great example of the gorgeous sounds of this album. The Voyager — Jenny Lewis: Like Ryan Adams, whom she is touring with right now, Jenny Lewis is well-known to alt-country and indie rock aficionados. And as with Ryan Adams, 2014 has been a breakout year of sorts for the former Rilo Kiley lead singer. The Voyager is making all kinds of “best of” lists and her video for Just One of the Guys has been a viral favorite with its cross-dressing performances by Anne Hathaway, Kristen Stewart and Brie Larson. I have been a Jenny Lewis fan since she was a child TV star on Brooklyn Bridge! The Voyager is easily her most accessible record since her Rilo Kiley days. Give it a listen! And if you love it, go back and listen to Acid Tongue which was one of my favorite albums of the last decade. After The Disco — Broken Bells: By a razor-thin margin, After the Disco was my second favorite album of 2014. Pretty impressive given this is only the band’s second album and 2010’s self-titled release was one of my favorite albums of that year as well. What do you get when you put together the musical genius that is Brian Burton (AKA Danger Mouse) and Shins lead singer James Mercer? Pure neo-disco perfection. I was blown away by After the Disco and seeing them live earlier this year cemented this record into the penultimate place on my year-end list. Every song on this album is gorgeous, but my favorite is the title track. I know both Burton and Mercer have other lives, but I sure hope they keep making Broken Bells records together! Turn Blue — The Black Keys: My favorite album of 2014 should come as no surprise to those of you who know me. No album was more anticipated by me this year and no album lived up to the hype any better. I don’t know how Patrick and Dan keep doing it, but they followed up 2011’s brilliant El Camino (my second favorite album of that year) with another gem. 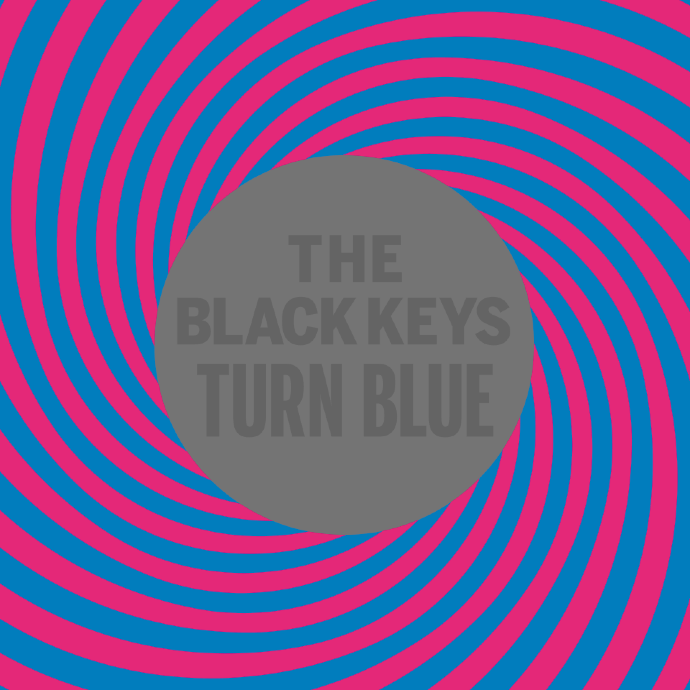 Turn Blue is amazing from start to finish and the Grammy voters agree having nominated it for best rock album of 2014. The Keys seem to have unlimited energy and it comes through on this album from the very start. Sure, Fever and Gotta Get Away have been played to death, but the whole record is worth over playing. It’s a tough call, but my favorite track on the record is the first track, Weight of Love. Take a listen to this live version — it just keeps building to a beautiful crescendo. I think the Keys listened to a ton of Led Zeppelin growing up in Akron, Ohio!